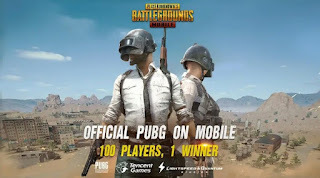 Hello Friends, if you are a Gamers, then PUBG Mobile is a great game for you, which you can enjoy by downloading it from the Play Store for free. In this post I will tell you all about PUBG Mobile, in detail and also the easy way to download it for free. Playerunknown's Battlegrounds, Or PUBG is a mobile game that has been published by Tencent Games and is available for both Android and Apple. PUBG Mobile has been launched in India which you can now play by downloading from Play Store or Apple Store. What is the need to play PUBG Mobile? Playerunknown's Battlegrounds Mobile Game is an online game that can directly say that you will need internet for it to play. You can use your mobile data or Wi-Fi for this. Talking about your Android mobile, this should be Android 5.1 or higher and have at least 2GB of RAM. The more in your mobile, the better it will be. PUBG Mobile is a kind of game where you do not have anything in the beginning. You are lowered with the help of aeroplen on an 8 X 8 Km island, which has a total of 100 players. You have to avoid the end of these 100, and the person who remains fighting while struggling till the end is considered as a winner. When you descend on this 8 x 8 Km island, you do not have anything, and you have to collect all the things you need from the houses built on this island, such as Weapons, Food, Bag, Clothes etc. It has three ways to play. You can play it alone or with two people or with a team of four people. If you play it alone then you have to do everything and you do not get any support from above. But if you play with a team of two or four people, then the other member of the team can give you the Weapons, Food, etc. Besides this, they can also revive you. Apart from this, if you kill any enemy, you can collect all the things by going to him where there is a green signal like this. When you land on this island, this circle is a little bigger, which you can see by clicking on the map located in the upper right corner. But as time progresses, this circle becomes small and you have to survive inside it. If you live longer than this, you are dead because of being out of the Play Zone. The most conflict and fun comes in PUBG Mobile when the Circle has become quite small and all the remaining players are between this. If you are successful in staying alive here, then you are declared Winner, Winner, Chicken Dinner. Yes, you can download PUBG Mobile for free and play. The download link is provided below. In this game, you are given a play in the Coin Reward, which you can use to buy clothes etc. If you log in it every day, decide a particular distance, or stay alive for longer periods, you are given a coign in the rewards. You can easily download PUBG Mobile from Play Store or Apple Store. But while making your work easier here, I am giving you direct download links so that you do not have trouble finding it. So in this way you go about PUBG Mobile in a lot of detail. This is a great game to play if you have a free time and a good mobile. With this you will also need an internet connection. PUBG Mobile is a graphics game rich and it runs online so it consumes your mobile battery more. But if you start enjoying this game then you will not feel a problem at all if you have a powerbank.